The bible talks a lot about our minds. 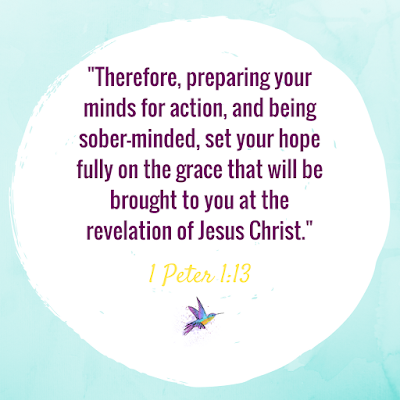 We are consistently instructed to guard our minds (1 Peter 1:13), to renew our minds (Romans 12:1) and to choose what we allow in our minds (Philippians 4:8). Personally, the mind is the hardest battle for me to fight. I usually feel ill-prepared, like someone who brought a pocket knife to a gun fight. When my mind starts firing bullets, I'm still over in the corner fumbling with the tiny blade. Unfortunately, I don't think I am alone. Millions of people struggle with depression, anxiety, and more serious forms of emotional/mental illness. And even for those who don't struggle with those things, everyone struggles with negativity and negative thoughts. We all get down, we all hit slumps, and we all fall prey to the devastating effects of negative thinking. But what can we do? It often feels like the uphill battle cannot be won. But since the Bible gives us a guide for how to think, we should start there for our help in this battle. 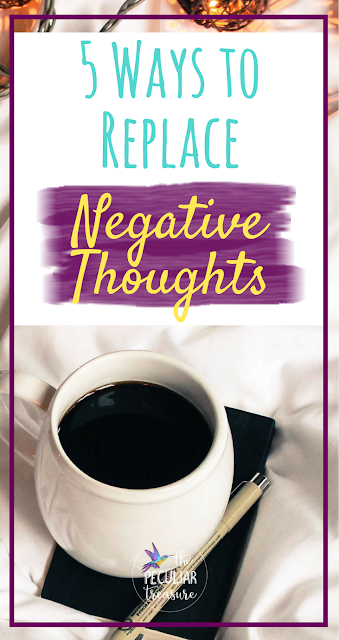 Here are 5 Biblically based questions to replace negative thoughts. What Is There to be Thankful For? No matter where we are in life, there is always something to be thankful for. Some people have a tougher life than most, but even then, there is always something to be thankful for. Think on those things. Remember the good, instead of dwelling on the bad. Seems simple, but sometimes this can be a tough task- do it anyway. It's a necessity. 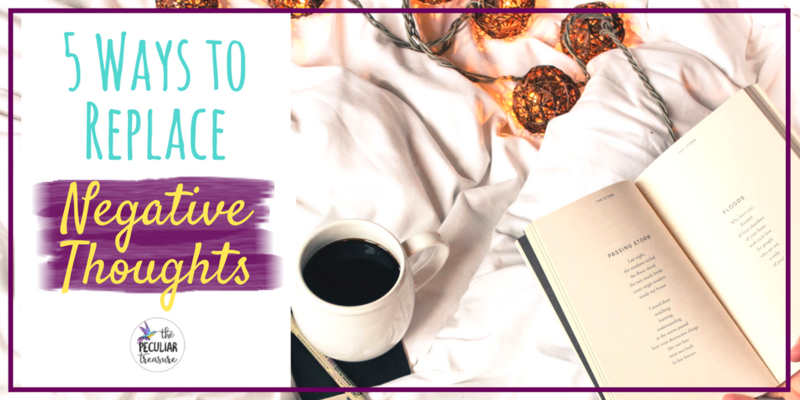 What is Something Productive that Needs Doing? When I get caught up in my own head, I often neglect the things around me that need to be done. Instead of sitting around in an anxious state, I could clean the house, give the dogs a bath, wash my car, go grocery shopping, etc. We all have chores and responsibilities. If we busy ourselves with those (since they need doing anyway), we will have a tougher time sitting around in a negative thought process. Plus, a clean house tends to make us all feel better anyway. How Much of This Am I Bringing On Myself? Not getting enough sleep, not exercising enough, and not eating right are huge contributors to feeling down, tired, depressed, and negative. The same is true when we watch depressing or frightening shows and movies, or listen to sad music. Contrary to popular belief, we are affected by what we watch and listen too. If we continue in unhealthy habits, our mindsets and feelings are not going to change. We bring a lot of our emotions on ourselves when we don't take care of ourselves. Do I Know Anyone That Needs Help? Turning to help others is an excellent way to stop depression from rearing it's ugly head throughout the day. Do you have a friend that is grieving? Do you know of an elderly person who is ill? Did your spouse get passed over for a big promotion? Turn your attention to them and their needs. Think of ways to make their days special. Take your friend chocolate and watch a sappy movie with her. Take flowers or a card to the ill elderly person. Visit with them for some extra company. Or cook a special dinner for your spouse and let them know how proud you are of them. Let them know they are still skilled and talented, and they don't need a promotion to prove it. Focusing on others means that the focus is off of our problems and struggles. Have I Been Giving My Passions Enough Attention? Do you love to paint? Go for runs? Solve math equations (God bless you)? How long has it been since you allowed yourself to do what you love? If you can't remember the last time, then it's been far too long. We all need to utilize our gifts and do the things we love, or we will always feel trapped. Using our hobbies and gifts to release tension should help in easing negative thoughts. Yes, it's true. None of these things will make anxiety, depression, or emotional disorders disappear, but they will make a good, daily aid. These things will work to help ease the pain of emotional struggle and negativity, if done persistently. Remember though, to seek out God in all of this. If we aren't spending time in God's word, focusing on His truths, and coming to Him in prayer, we are missing the most key aspect of healing. God is the healer. *Note: Just because God is the healer, doesn't mean that He will choose to instantly heal you. Nor does it mean that medicine is bad. If you have a legitimate, emotional disorder, or you think you might, ask your doctor if there are any natural supplement that can help you. And if after a month or so, those aren't working, ask your doctor if they think medication would be helpful. There is nothing wrong with medicine, and taking medicine does not mean that you lack faith in God. Don't fall into that trap. 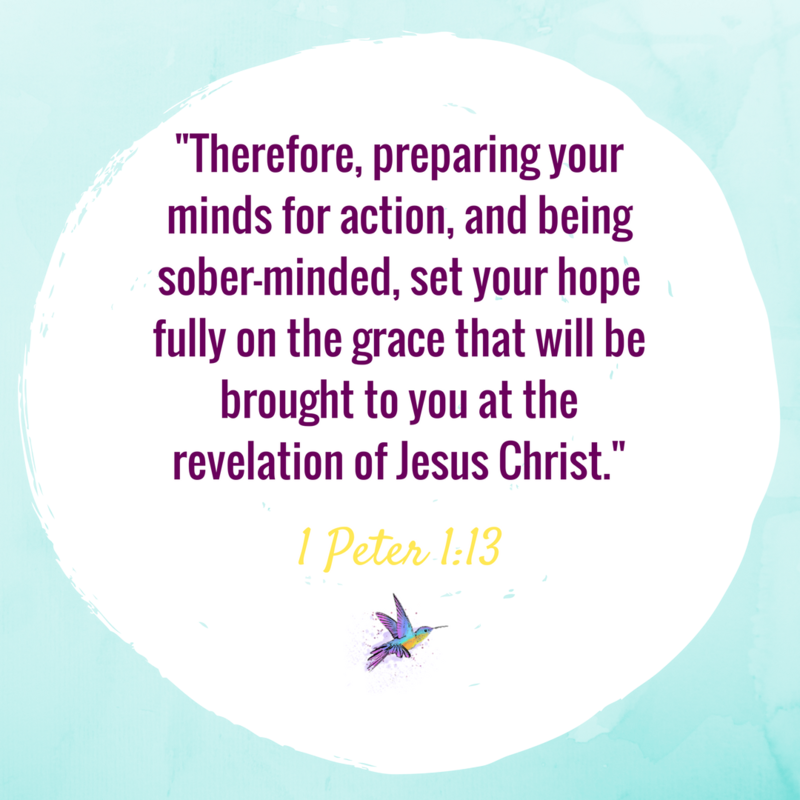 Seek the help you need medically, along with God's daily grace and strength. I love, love, love this. "What is there to be thankful for?" I think this phrase is key because we often forget to count our blessings. 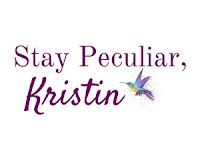 Great post, Kristin! Thank you!!!! That means a lot! It is a tough thing to remember, but very necessary! Thank you, friend! That means a lot! Haha! That's awesome! I'm so glad it helped! These are all really important things I need to remember to ask myself. I've been caught up in a wave of negative thinking lately. It's easy to do! Keep at it! These are great questions to use to change our thinking! Too often we get caught up in negative thinking and forget to ground ourselves in the Lord. So true! Thank you for reading, Susannah! 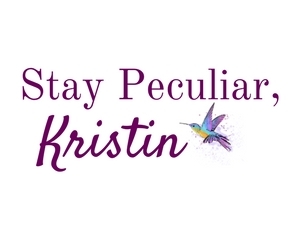 I love these Kristin. I love how you continue to move forward seeking His face! Thank you for sharing these tips. Thank you, Gema! I appreciate that. I am not that great at pushing through the negativity, but I want to continue to get better! I am so glad you've been healed, and I am so glad you are still fighting hard! All of this I can be working on! It's hard...being a realist on the verge of a pessimist. It's exhausting. I do need to lighten up a bit. I've always been happier while serving others. I had a friend in high school that had a tendency of being negative and I was unsure on how to help change her perspective. One day we were preparing food for a service activity and she was telling me how she didn't understand why she was so happy doing work. One of the adults there turned to her and said it's because you're not thinking about yourself. I held my breath thinking oh no! But she totally took it and started to change from then on. That is such an awesome story! I love it and I am so glad that your friend was able to see that! This. This is just wonderful. And boy howdy do I need to save the link and read it often. Really struggling with some people issues at work. But these thoughts are a wonderful focus instead! Thank you for sharing. I'm so glad this was a blessing, Cheryl! I hope things get better for you soon!